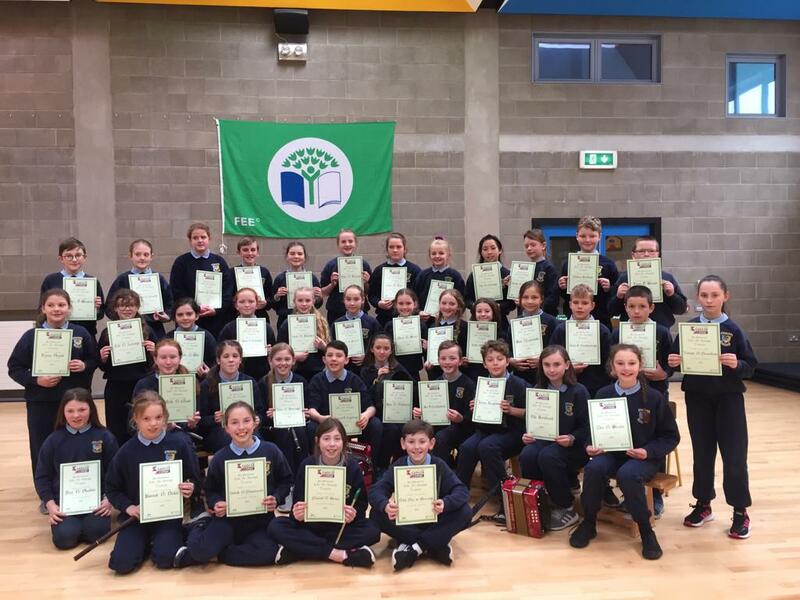 On Wednesday Mrs. Maloney and 26 children from 4th, 5th and 6th Class made the short trip in to Nenagh to take part in the indoor athletics competition run by Nenagh Olympic Athletics Club. The athletes took part in long distance races, sprints, relays and field events such as the long jump and shot putt. Our students all performed very well with many winning medals on the day.